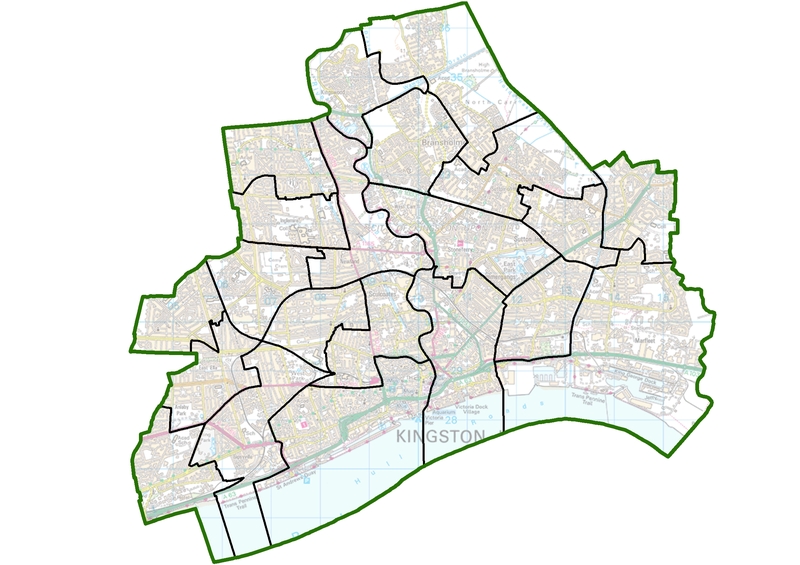 The independent Local Government Boundary Commission for England has published its final recommendations for new ward boundaries for Hull City Council. Today’s publication follows three rounds of public consultation and draws new boundaries for each council ward across Hull. The Commission’s final recommendations propose that Hull should be represented by 57 councillors in the future: two fewer than the current arrangement. The recommendations also propose that those councillors should represent fifteen three-councillor wards and six two-councillor wards across the city. Professor Colin Mellors, Chair of the Commission, said, “We are extremely grateful to people across Hull who took part in the review. The Commission has looked at all the evidence that was put forward during the consultation. In response to local feedback during consultation, the Commission has made changes to some of the proposals it published in June. For example, an area south of Bude Road in east Hull had been included in Kingswood ward under the Commission’s previous recommendations. Representations from local people and organisations told the Commission that the area shared community ties with West Carr rather than Kingswood. The Commission was persuaded by the evidence and has included all of the area south of Bude Road in the West Carr ward. In west Hull, the Commission received strong evidence that its proposals for Myton ward would split communities including the Newington and Avenue neighbourhoods. The Commission has therefore changed its recommendations so that the whole Newington community is included in a Newington ward. Residents of Hymers Avenue and Sunny Bank are now in Avenue ward, as they argued in their submissions. The Commission has also responded positively to local submissions in favour of creating a Central ward that unites communities around the centre of the city. The ward will include the Fountain Road estate, Sculcoates and Spring Bank areas. The city centre itself, the Thornton estate, Hessle Road and western docks will be part of a new St Andrew’s & Docklands ward. The Commission received mixed evidence about the which community is most strongly connected with the Gipsyville area. The Commission decided it should be included in a ward with Newington rather Pickering as previously proposed to ensure the best possible arrangement in this part of the city. The final recommendations ensure that Gipsyville will be part of a Newington & Gipsyville ward. Elsewhere in the city, the Commission has made minor changes to its recommendations to ensure that the new wards reflect local community ties and provide recognisable boundaries. The proposed new arrangements must now be implemented by Parliament. A draft Order – the legal document which brings into force the recommendations – will be laid in Parliament in the coming weeks. The draft Order provides for the new electoral arrangements to come into force at the council elections in 2018. 2. The electoral review of Hull City Council is a separate undertaking from the review of parliamentary constituency boundaries which is being carried out by a separate body (Boundary Commission for England) under different rules and legislation.